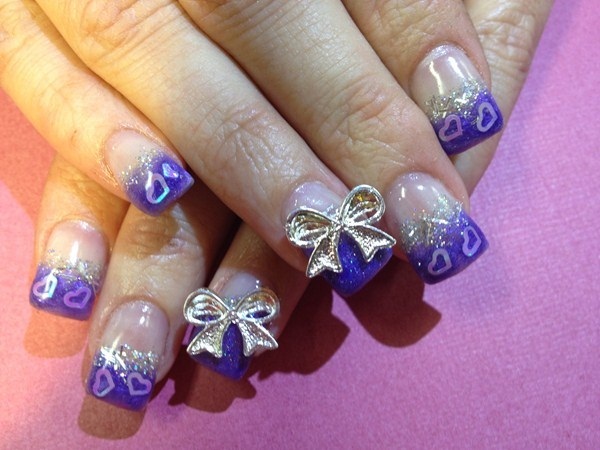 One of the best ways to boost your income as a nail tech is to offer nail art to your clients. The good news is you don’t have to be a great nail artist to do it. Some of the simplest designs to create are the most appealing to your clients and are a snap to sell. Find out how to earn top dollar when you graduate by adding these five nail art techniques to your service menu. 1. Accent Nails: Ring-finger accent nails are on-trend and an easy suggestion to make to your client once her initial color is almost done. These can be added almost as an afterthought and usually don’t take a lot of time. The easiest accents are embellishments like charms, decals, rhinestones, appliques, and nail art jewelry. Just follow the manufacturer’s directions to apply. 2. 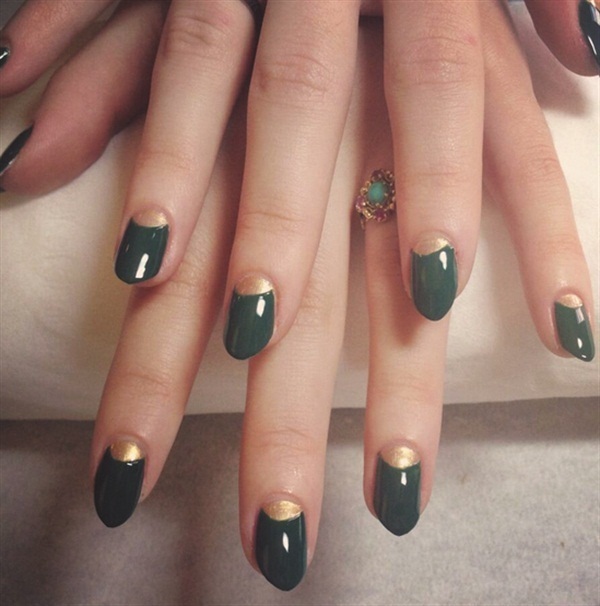 Half Moons (Moonicure): If your client is already a fan of French manicures, she’ll be open to trying a retro-inspired half-moon manicure, which you can charge a little more for (like a French manicure). There are a couple of techniques for this manicure, but an easy way is to use an adhesive hole-punch protector as a guide. After applying a base coat, apply two coats of neutral color and let dry. Place a hole-punch protector at the base of the nail as a guide. Apply two coats of the desired color over the entire nail, including the guide. Remove the guide and clean up the moon with a thin brush. Allow to dry and apply a clear top coat to finish. 3. Polka Dots (Doticure): These cute, fun doticures are perfect for your client if she has a date or is going to a party (always ask if she’s having her nails done for a special occasion). This look couldn’t be easier to create because all you need is a dotting tool. You can use various sized tools or keep the dots uniform. The dots look best in a contrasting color to the base color. Color Blocking: Ask your client if she’s wearing a particular outfit to her event or if she has favorite clothing colors she likes to wear. 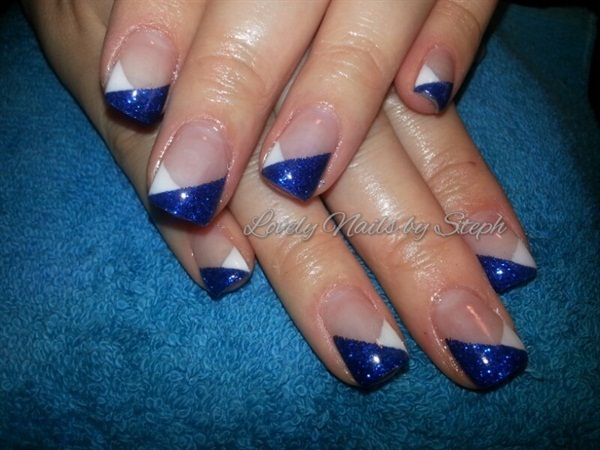 Based on her answer, suggest color block nail art in two or three contrasting colors. First, apply a base coat and allow to dry. Next, apply two to three coats of the lightest color and allow it to dry. You can paint the following color block(s) freeform, but if your hand is less than steady, you can use the tape method (but be sure the base coats are completely dry). Tear off a piece of tape about an inch long and apply onto the nail diagonally to section off a part of the nail. Using a darker color, paint over the nail and tape. Remove the tape and allow the polish to dry. You can apply a top coat to finish or you can apply a third color using the same technique and again applying the tape on a diagonal in the opposite direction. Holiday Designs/Sports Teams: Holidays and sporting events are perfect times for your clients to show off nail art. 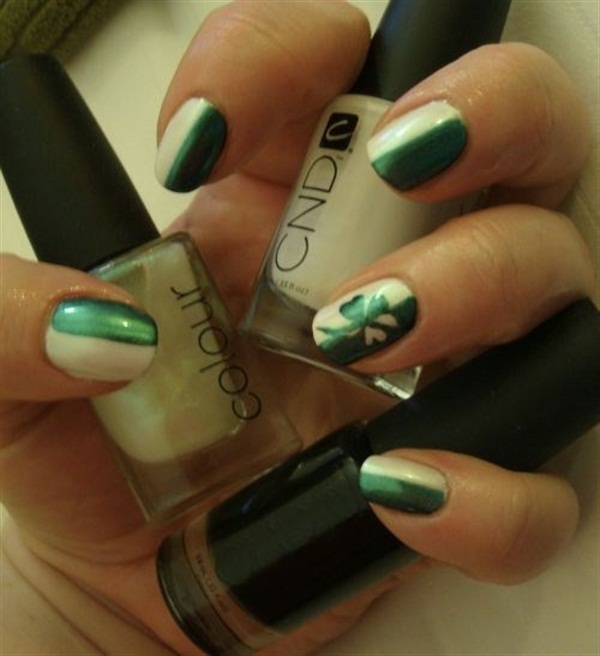 You can use one of the previous techniques but use holiday themes and colors, like this cute St. Patrick’s day design. Sporting events are even easier — just use the team’s colors on alternating nails or color block team colors on chosen accent nails.